Films take center stage at the Pao Arts Center with films presented by The Boston Asian American Film Festival (BAAFF). Join us for a curated selection of documentary films showcasing both contemporary and historic Asian American experiences this spring! Screening will be followed by a Skype Q & A with the filmmaker. 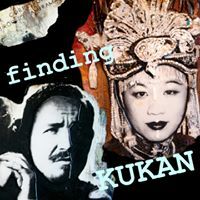 Filmaker Robin Lung investigates the case of Li Ling-Ai, the un-credited female producer of KUKAN, a landmark color film that revealed the atrocities of World War II China to audiences around the world. KUKAN has the rare honor of being the first ever American feature documentary to receive an Academy Award® in 1942.